Today is February 12. It was 206 years ago today that the 16th president of the United States was born in a little town called Hodgenville, Kentucky. There’s a lot that we know about this former president from a much earlier time in our nation’s life. Pretty much everybody knows that his picture is on the penny, that he abolished slavery, or that he was an avid (and skilled) wrestler in his youth. In observance of his birthday, however, I’d like to tell you three things that not a lot of people know about Mr. Abraham Lincoln. 1.) We all get away with calling him Honest Abe today, but if he ever caught any of us referring to him using that name, he would have put us in an arm bar (the good wrestler that he was). Well, maybe he’d go easier than that, but truth be told, he did not appreciate ‘Abe’ as a nickname. 2.) He was crazy about cats! Absolutely obsessed with them, Lincoln had an affinity with all animals, but cats above all. He was fascinated by felines and while he was in office, the official cat of the White House was named Tabby. 3.) 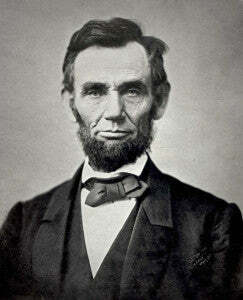 Maybe you already knew that Lincoln was the first president to wear a beard. But did you know that he grew it at the request of an 11-year-old girl named Grace Bedell who wrote him during his campaign for presidency? “…if you let your whiskers grow I will try and get the rest of [my brothers] to vote for you,” she tells him. “You would look a great deal better for your face is so thin. All the ladies like whiskers and they would tease their husbands to vote for you and then you would be President.” Lincoln wrote the girl back and promptly began growing out his now-iconic beard. I guess it just goes to show that sometimes the best advice comes from sources that you’d least expect! 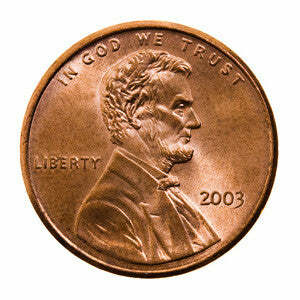 Happy, birthday Abe…err…I mean, Mr. Lincoln! And, as always, thanks for reading, camp fans!